The gorgeous old cathedral is Amalfi Italy is called the Duomo Sant'Andrea or St. Andrew's Cathedral. This eye catching Arabic-style structure on the Amalfi Coast was built in around 1203. 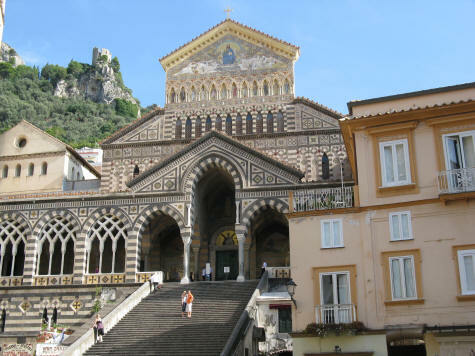 The Amalfi Cathedral can be found on Piazza del Duomo in the heart of the seaside town of Amalfi Italy.